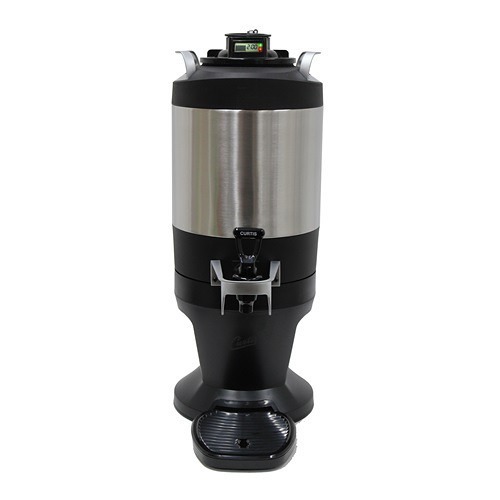 The Fetco Extractor CBS-2141XTS Coffee Brewer combines Fetco’s dependable Extractor technology with a new XTS touch screen control panel and brews into the Fetco Luxus L4D-10 or L4S-10 1-gallon thermal dispenser. Don’t worry about shipping, it’s completely free! 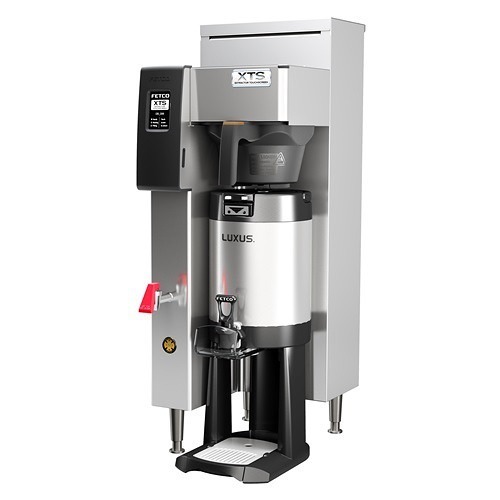 The Fetco Extractor CBS-2141XTS Coffee Brewer combines Fetco’s dependable Extractor technology with a new XTS touch screen control panel. Fetco developed Extractor Technology so that the optimal flavor could be extracted from the coffee during the brewing process. A cascading spray head evenly distributes water over the ground, then the pre-wet cycle combined with pulse brewing allows for optimal saturation and steep time. The new, innovative XTS touch screen technology allows for easy control over the brewing process for each coffee profile you want to brew. 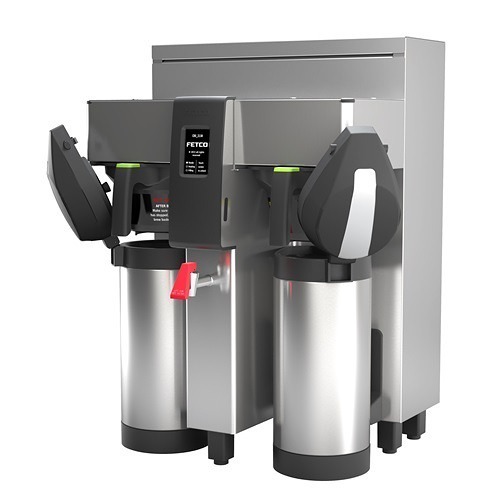 Simply program in brew time, brew temperature, and brew volume to meet your needs. 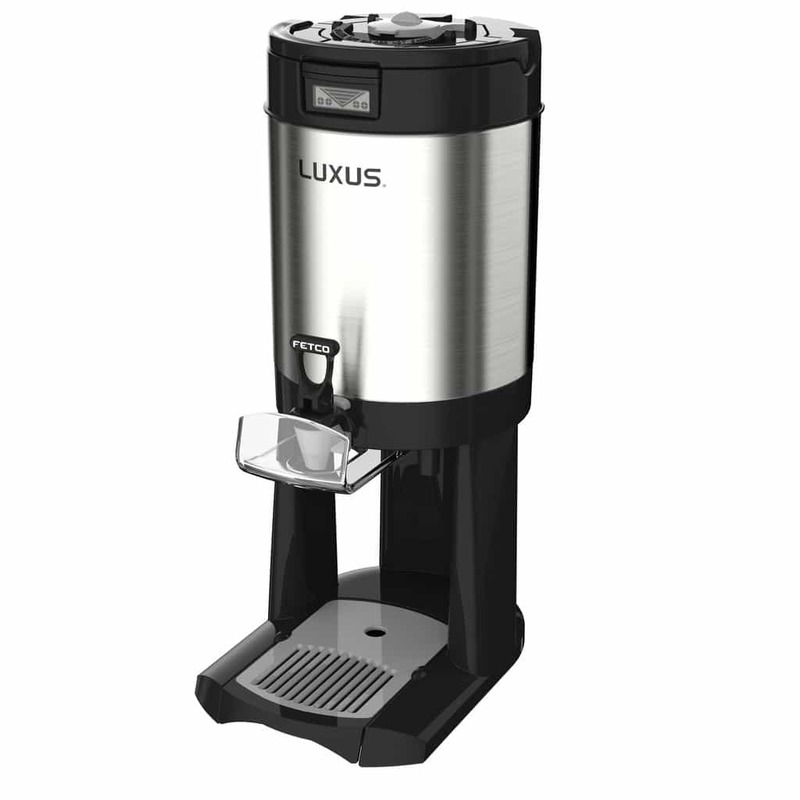 The CBS-2141XTS brews directly into the Fetco Luxus L4D-10 or L4S-10 1-gallon thermal dispenser. 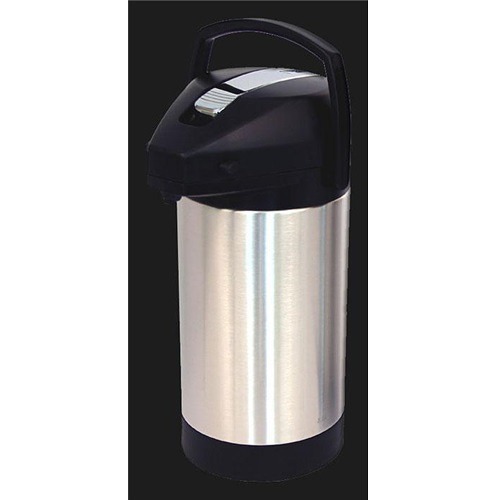 The dispensers can keep the coffee hot for hours and can be carried to where the coffee is needed. A hot water faucet is conveniently located on the front of the brewer for making tea and hot cocoa. Options for the CBS-2141XTS include a choice of a plastic or stainless steel filter basket. Fetco CBS-2041XTS spec sheet – see spec sheet for electrical configuration options. 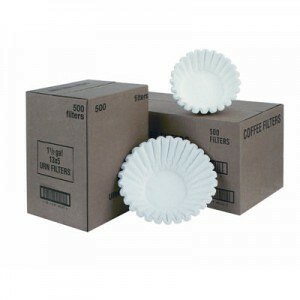 For use with Fetco F002 Coffee Filters.